You may have heard of the Oculus Rift – the virtual reality headset that’s been creating a buzz for mastering the effect of a totally immersive experience. Its ability to simulate a realistic wide­field of view and 3D visual content are just the beginning. With rotational and positional tracking, the Oculus Rift follows your slightest movements and makes it feel like you’re truly in an alternate reality. But what’s the best use of this new technology? Since the environments we create visuals for are often atypical – for example architectural façades of buildings rather than TV screens – being able to see a virtual reality simulation of the project before it’s actually on site is invaluable. It’s like testing visuals on a miniature scale model, but in this case our team is able to walk around as though they’re on location and see the visuals from different perspectives in true scale to get an accurate feel for the experience as the public will experience it. 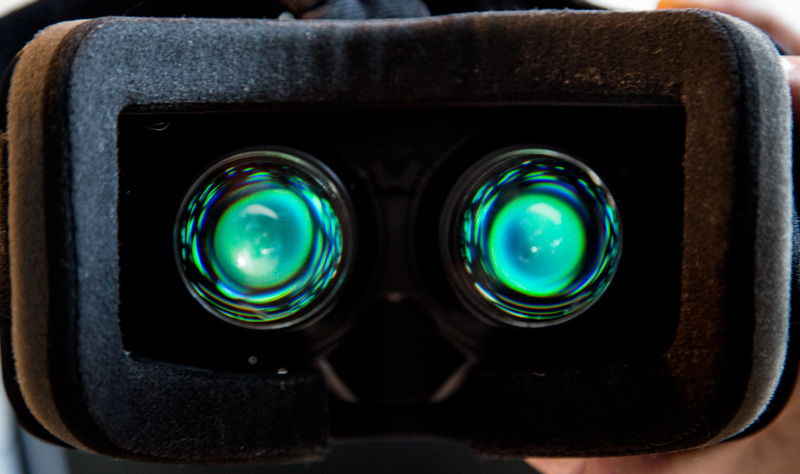 Our passion is to bring people together in the real world to share emotionally rich experiences, so we don’t see ourselves using the Oculus Rift for the experiences themselves, but prototyping and testing content is another story! Imagine how rewarding it is to be able to animate and in moments see what your creation will look like on a 3D rendering of the real surface, and then to be able to share your vision with clients! 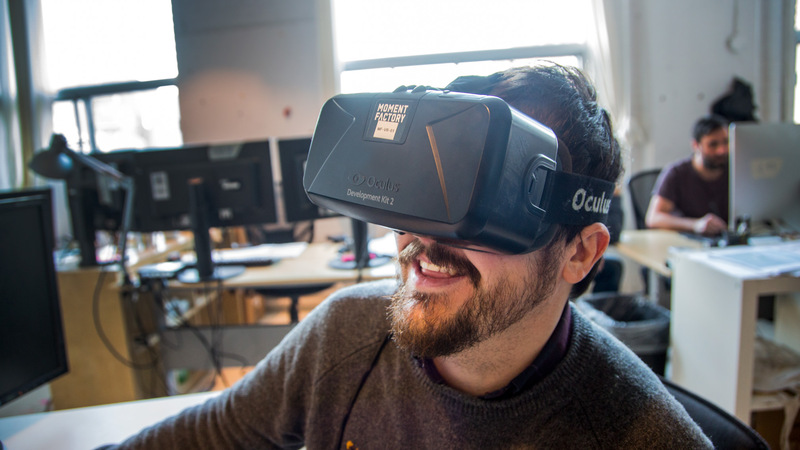 For the creation process, virtual reality has opened up new possibilities for innovation and collaboration. And that is no small feat.